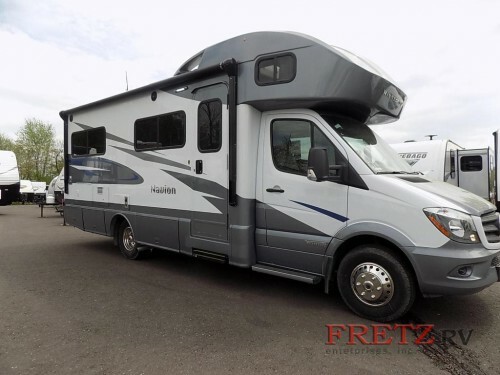 Get ready for fun and comfort to come together in the Winnebago Navion 24J Class C motorhomes for sale here at Fretz RV. 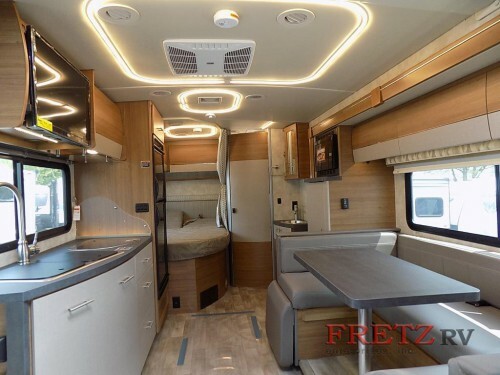 The 24J is a single slide motorhome with room enough for five people, and it is the perfect way for you to hit the road in style. Let’s take a look inside in this Winnebago Navion 24J Class C motorhome review! Check out our Winnebago Navion 24J Class C Motorhomes! 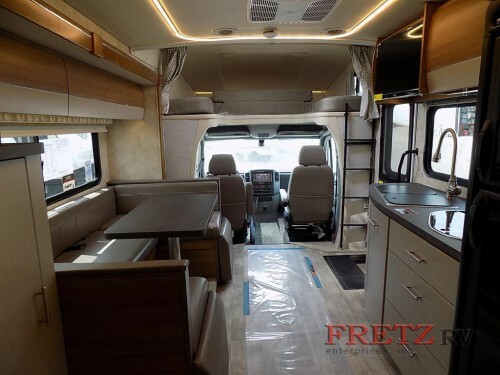 The cab of this Class C motorhome is built to be much more than just from where you drive the RV. Both the driver and passenger seats will feature a swivel function, so they can be functional places to sit whether you are driving or parked. And with an optional cabover bunk, you will have an out-of-the-way place for an extra person to sleep. Enjoy comfort on every mile. Even with the compact design of the Winnebago Navion, there will still be plenty of room for all of the creature comforts of home. The main room will house the combination kitchen and living room to make the perfect blend of function and comfort. Enjoy watching the 28” HDTV from the dinette, captain’s chairs, or just while cooking meals. Plus, with every kitchen appliance, cooking and storing your meals and snacks will be a breeze. With full bathroom, and kitchen amenities, you’ll always feel at home. 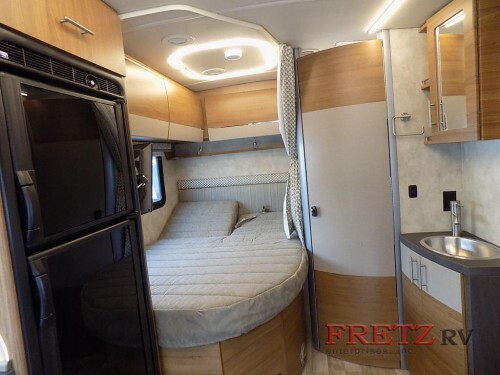 At the very rear of this motorhome, you will find the full bathroom and a double bed to complete the at-home feeling. Rest easy each and every night in the bed, and with the optional, extra flat screen TV, you can spend nights watching your favorite movies from the comfort of the bed. Spend every night in comfort in the rear double bed. With our Winnebago Navion 24J Class C motorhomes, freedom, comfort, and fun are all right at your fingertips. To find out more about these amazing RVs, be sure to contact us or come on down to our location today!